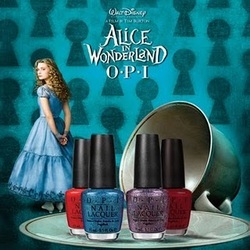 Inspired by the motion picture starring Johnny Depp as the Mad Hatter, this lovely tribute to Disney Alice in Wonderland collection is bound to add some bounce to your step! Mingling amongst the eye catching royal blue glitter are pops of gold, the color of Alice’s blonde locks. It adds a whole new dimension to what would otherwise be just another blue glitter. 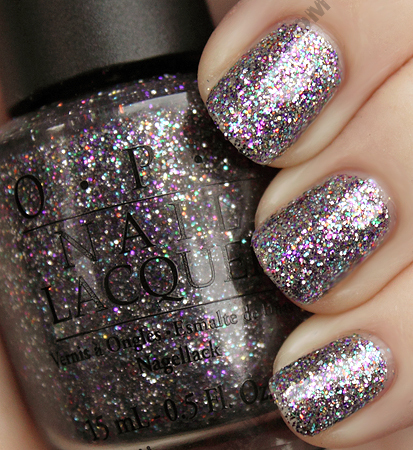 Mad As A Hatter is one big confetti party encapsulated in polish. Think Lippmann’s Happy Birthday but with smaller, round micro-glitter. A berry red metallic shimmer. As you apply it, you can see those telltale lines that indicate the shimmer is pearlized.